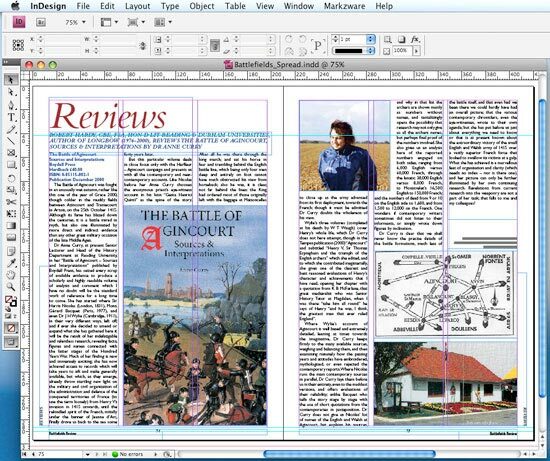 If you need to convert InDesign to Quark, this article briefly shows how the Markzware ID2Q Quark XPress plugin works. 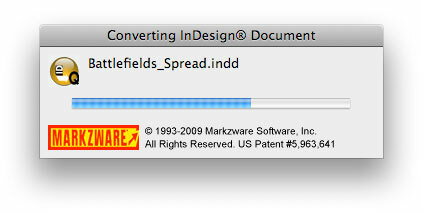 First, select your InDesign document. 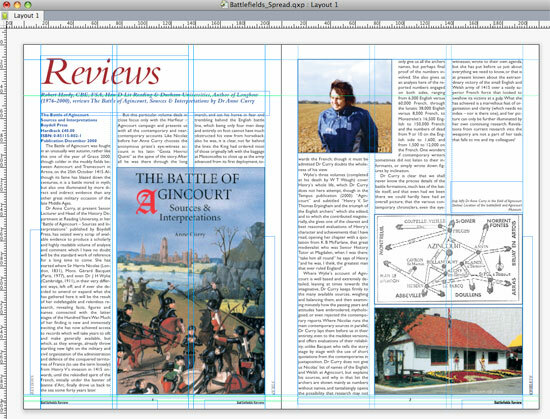 The spread shown below was created in InDesign CS4. 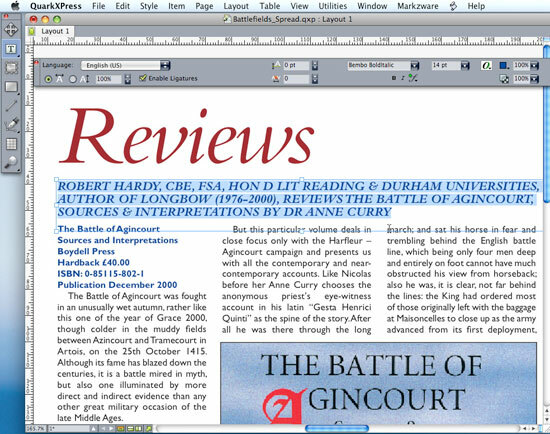 Make sure that all fonts are present and all images are correctly linked. You can do this by using the TYPE/FIND FONT... dialogue box and Links Palette. Once everything is present and correct, we can move onto Quark XPress. ID2Q comes with two plugins for Quark 8 and one for Quark 9 (or a subscription version for 10). Make sure you install the correct version into your Quark XTENSIONS folder before starting Quark XPress. Once you've installed ID2Q and launched Quark (you'll need to enter your Activation Code when prompted) a new menu item, "Markzware", will appear at the top of the screen. After selecting the Convert option, you'll be presented with the following dialogue box (the settings shown are the defaults). The spread was imported very quickly, and although the resulting page wasn't perfect (no conversion ever will be), it was an excellent start. 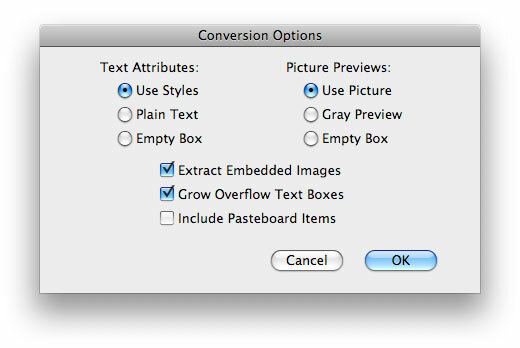 As Markzware states, no conversion will ever be perfect and there will always be work to do on the converted document. This one was no exception. 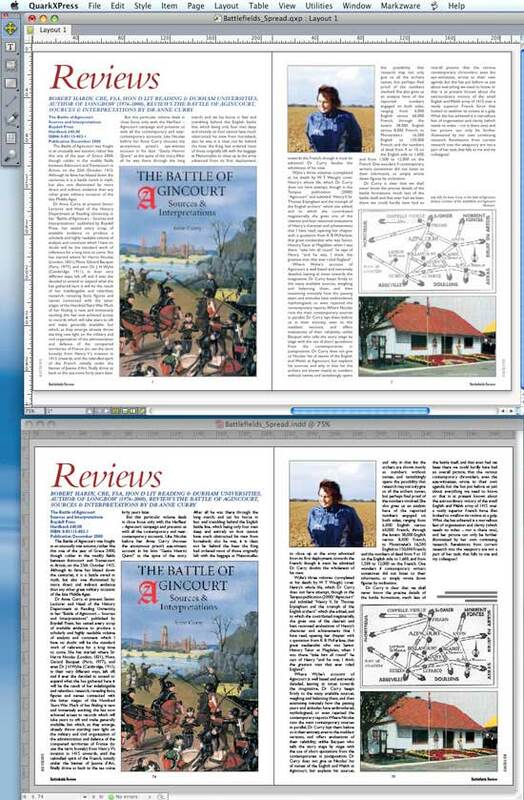 Below is a screenshot of the page exactly as it was imported. The Master Pages were retained, as were the Guides, Color Swatches and Paragraph and Character Styles (called Style Sheets in Quark). However, some immediately obvious differences between the documents could be found in the hyphenation rules and the flow of the text. Other than hyphenation rules, some immediately obvious differences in my layout included slightly differently flowing text, doubling up of Master Page items and text case changes. Examples of these are shown below. 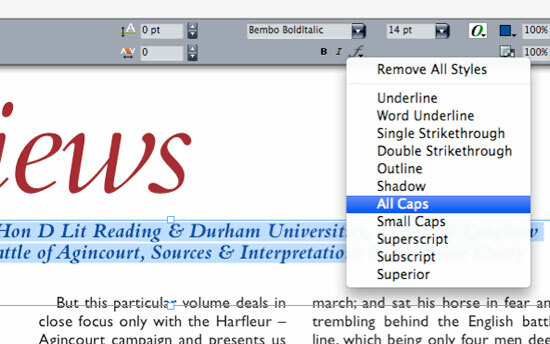 Other glitches are quickly and easily resolved by scrutinising the document and tweaking widths and styles here and there. 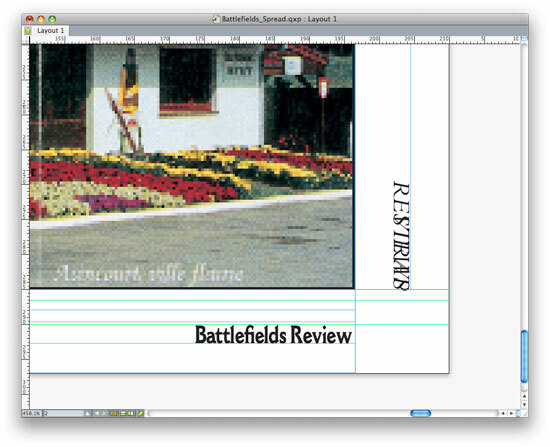 This can be time consuming, but it's still much quicker than re-creating the document from scratch. 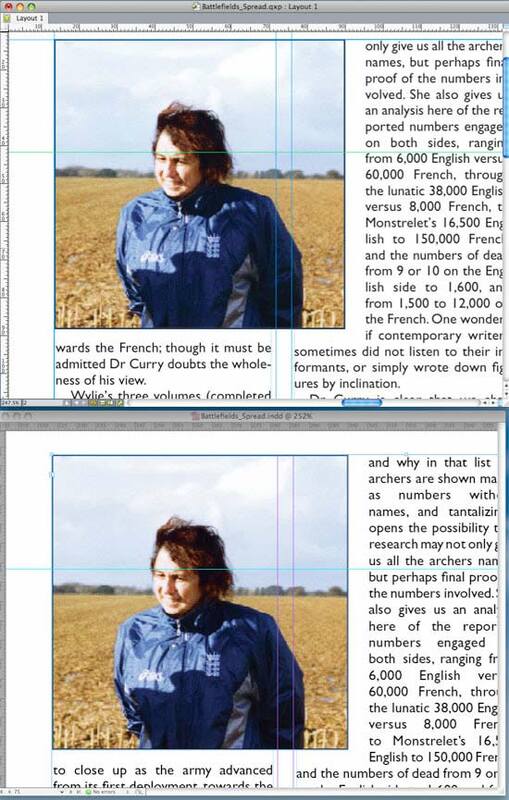 Here are the two finished documents for comparison (Quark on top, InDesign beneath). 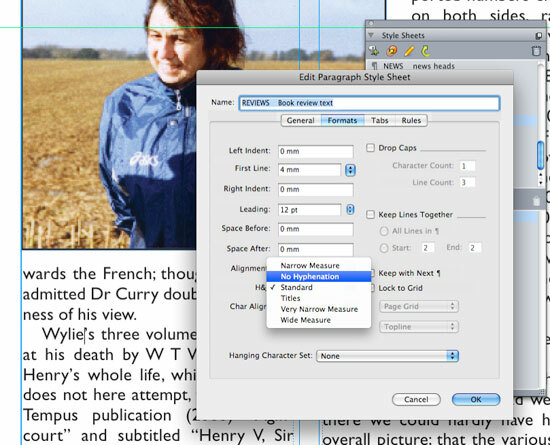 ID2Q is extremely useful because there really is no other practical way of converting from InDesign to Quark (as there is in the other direction). If you need to convert several documents, it's definitely worth the money.